The Everyday Messenger isn’t cheap—$220 for the smaller 13-inch version, $250 for the larger15-inch. But that investment is worth it if you want a bag that’s dependable, accessible, and flexible for hauling around sensitive gear. In a word: fantastic. The Everyday Messenger might just be named ironically since the design is anything but. On the surface, it looks surprisingly simple, with a big main pocket that’s undivided by any sleeves or interior compartments. 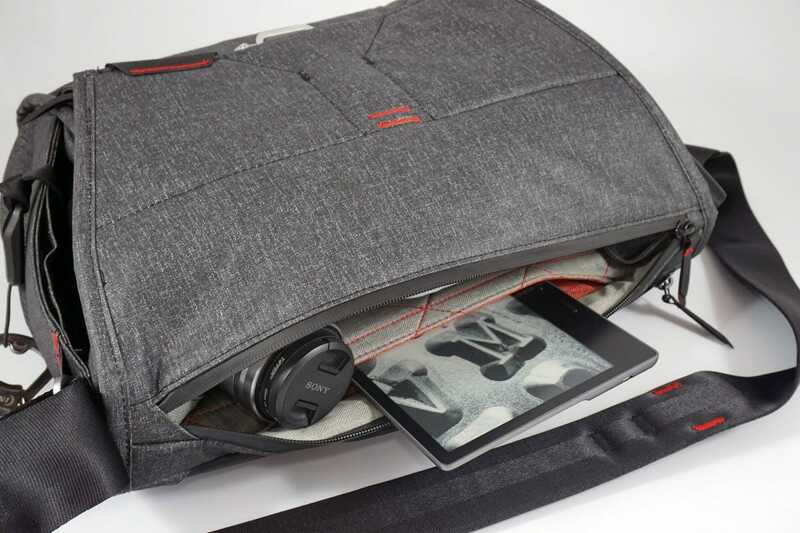 The laptop holder, more or less a requirement for any modern messenger, hides out on the back underneath a sturdy weatherproof zipper. This makes your laptop (and/or tablet, since there’s a divider in there) accessible without opening the main compartment. But as it turns out, getting into the big compartment is easy—easier than any messenger-style bag I’ve ever used. This is thanks to the unique “MagLatch” sliding clasp and ladder attachment system. The aluminum mechanism grasps onto one of the ladder rungs with a sliding catch, allowing it to easily close and open. A big chunk of metal keeps things securely closed at any of the four positions, while magnets inside the top flap keep it reasonably stable without locking if you’re in a hurry or need to access the compartment multiple times in quick succession. It’s an ingenious design that’s easy to open and close, firmly or softly, with just one hand. Speaking of which, there’s another way in to that big pocket. 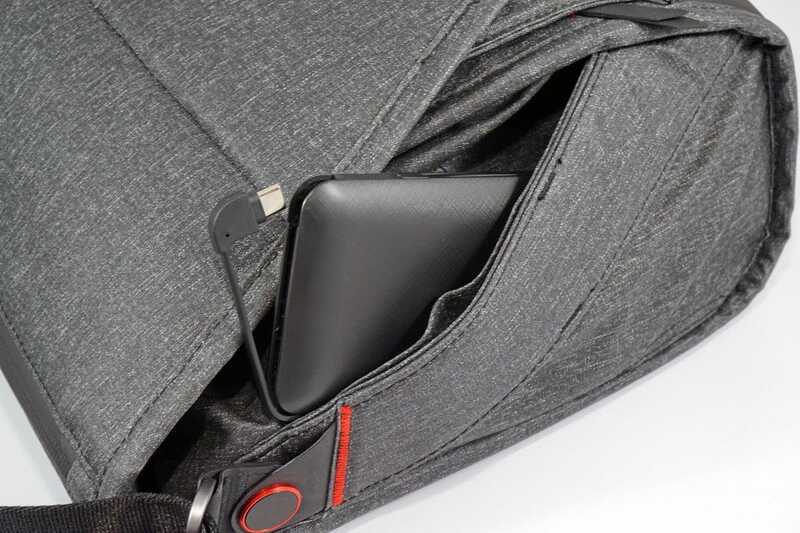 If you need to grab something from the top of the pocket quickly, the top of the flap also has its own zipper, granting hand access for smaller gadgets and lenses. 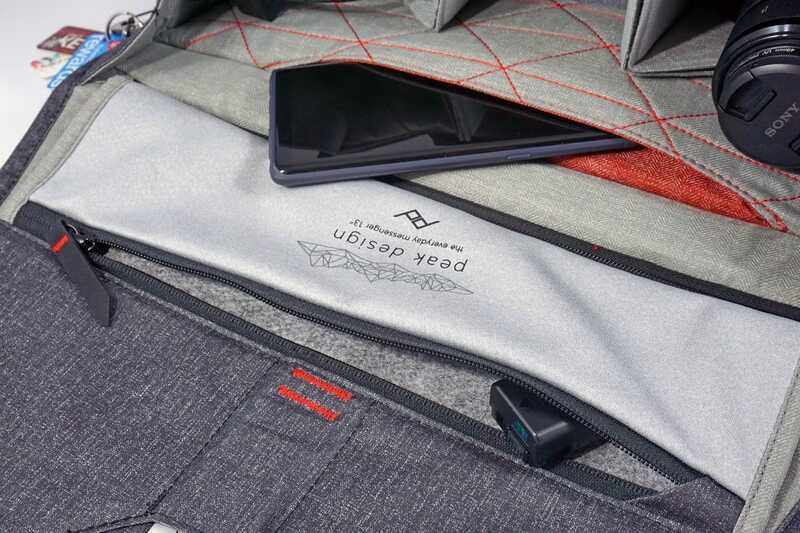 It’s a nice perk if you’re frequently swapping out pieces of gear, but it wouldn’t be a practical way to get, say, an iPad in and out of the main compartment. Keeping our focus on that main pocket: it looks empty. And on its own, it is—a big dump for all your loose gear. But the bag also comes with a pair of dividers: two stiff, trapezoidal little walls for you to attach at any point thanks to soft Velcro on the front and back of the compartment. 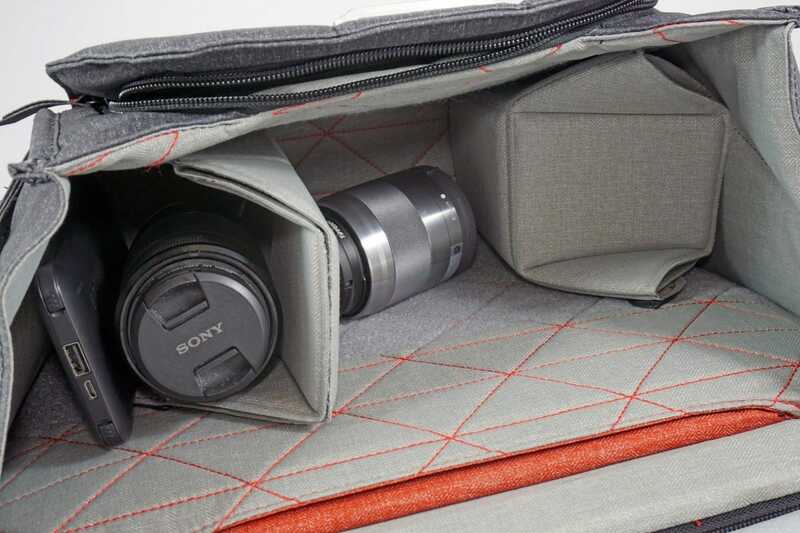 If you’re used to dedicated camera bags you might be familiar with the setup. These dividers come with unique origami-inspired folds in the material, allowing them to be set up in different ways. You can get a tall, narrow packet ideal for a water bottle or zoom lens, a divided pocket that works well for a power adapter below and a mouse above, or a double-down fold that works as both a hidey pocket and a platform for irregularly-shaped items, like a DSLR with its lens attached. The dividers can attach at any point inside, accommodating smaller or larger contents. This setup isn’t perfect. 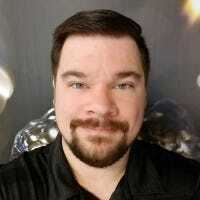 It’s difficult to get big things and small things in the main pocket at the same time—I can’t, for example, carry a mechanical keyboard while also organizing smaller gadgets. 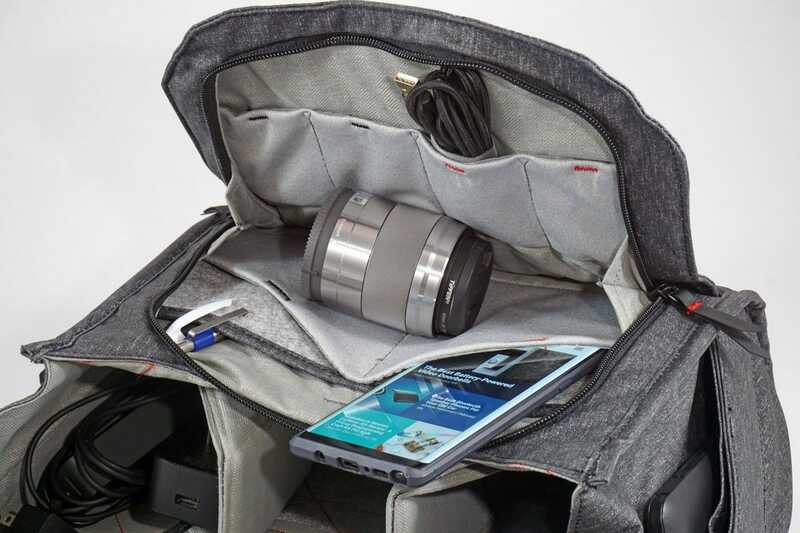 But it’s excellent for camera gear and laptop accouterments, and I’m sure more general users can make it work effectively for them, too. One of my favorite parts of the bag is the strap. It solves two problems I didn’t know I had with my old Timbuk2 bag: one, it’s reversible, so there’s no need to order a specific bag with a sewn-down strap for right-handed use or southpaws. And two, it includes a big padded section with a grippy underside, eliminating the call for an extra piece of padding secured with velcro. Length adjustments can be made with a sliding friction buckle or an aluminum hook mechanism: the former for smaller, quicker adjustments, the latter for a big foot-long transition from low to high carry. There’s a cross-strap included in the package for cyclists, but I found I never needed it even when riding, thanks to the circular hinged strap attachment (below in red) on both sides. The new V2 revision of the Everyday Messenger includes a luggage loop on the back, making it easy to attach to your rolling luggage and secured with another magnet. On both sides are sleeves, with yet more magnets, suitable for smaller gadgets like a battery charger. 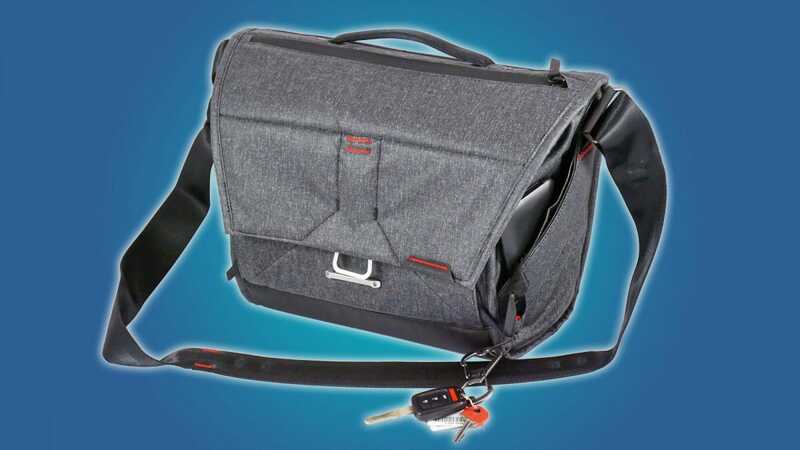 Both sleeves have an interior loop for keys (with one quick-release key ring provided in the box) and mini-straps for use with Peak Design’s proprietary quick-release camera Capture Clip. If you use these already you’ll love this feature, and if you don’t, at least they’re not in the way. The bag’s material is stiff weatherproof nylon, with stylish offsetting stitching and angular creases that reflect the origami design touches. The only exception is the bottom: it’s covered in a rubberized material that means you can put your bag on a dirty floor without staining the fabric. That’s an excellent touch, considering it’s designed to go everywhere. 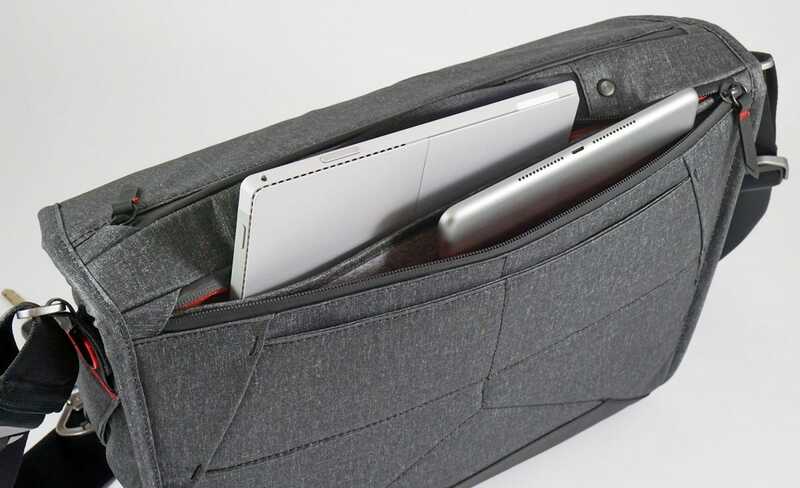 If the Everyday Messenger has a failing, it’s the front organizer compartment. This is secured with a full-length double zipper, meaning it’s tough to access anything inside quickly, especially if you want to go in through the main flap’s zipper, too. The interior pockets are small, with even the biggest ones unsuitable for a long phone or big battery and the small ones only big enough for memory cards or short cables. There aren’t even any pen pockets, something I didn’t know I missed until they were gone. This whole section is a pain to access no matter how you’re carrying the bag, leaving me to keep smaller loose stuff in the origami dividers in the main pocket. If this had been a more conventional organizer section, made easier to get to and more useful in terms of division, the Everyday Messenger might have earned a perfect score. The big interior pocket has two smaller pockets that I didn’t mention above, because they’re not exceptionally useful. A long, skinny zipper pocket underneath the flap is only good for loose items that you don’t need regular access to… and I couldn’t think of anything in my regular setup that fits that description, except perhaps some obscure adapter cables.A loop behind this pocket and an included silicone ring are designed to secure a tripod to the outer flap. There’s a tiny, slim mini-pocket on the inside chamber wall (red lining below), meant to be your dedicated phone pocket. But it’s so tight that getting your phone in and out via the big flap zipper is a chore. I found myself simply keeping my phone in my pants pocket instead, and it’s so slim and shallow it’s not well-suited for anything else. 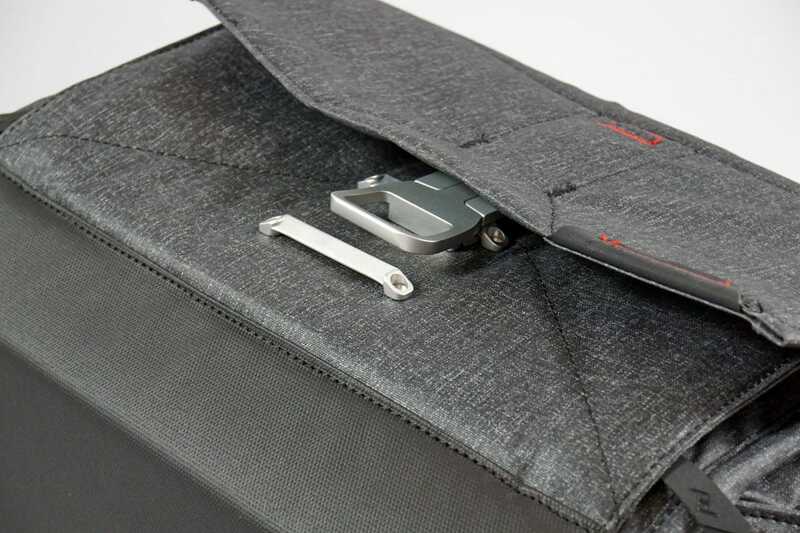 One last quibble, and it’s more of an observation than a point against Peak Design: the laptop sleeve in the 13-inch version of the bag is indeed pretty tight. It’s designed with the 13-inch MacBook Pro in mind, and won’t admit anything significantly longer or taller, like my 14-inch ThinkPad. (The smaller MacBook Pro is 11.97 inches, 30.41 centimeters wide, for the record.) If you’re in any doubt about getting the smaller or larger version of the Everyday Messenger, go for the big 15-inch option. 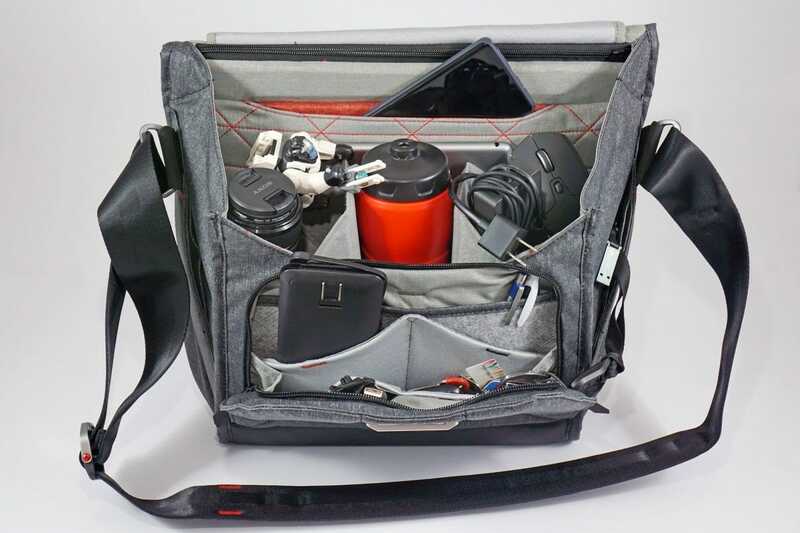 The Everyday Messenger is a premium all-purpose bag that entirely justifies its price. The MagLatch closure system is ingenious and sets a new standard for quick and easy access. 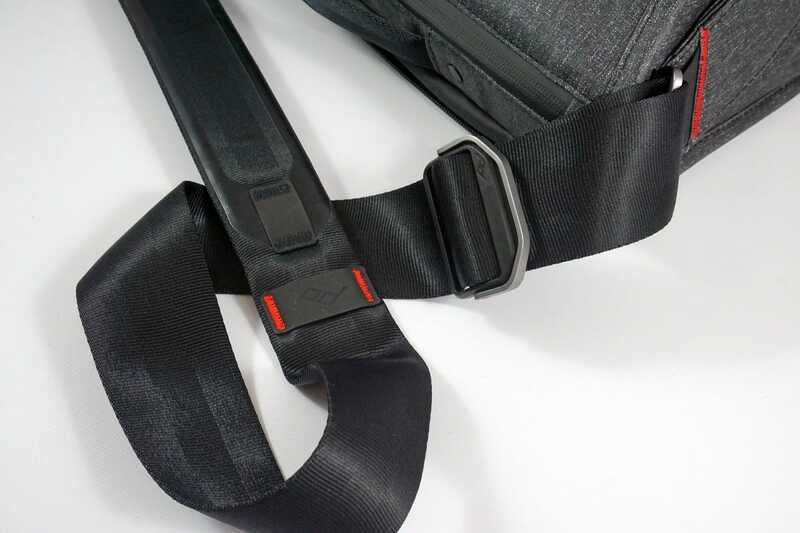 Other design aspects, particularly the flexible strap and origami interior dividers, will please users looking for a variety of carry options. The bag’s choices for careful organization of smaller items are sadly lacking, so this won’t replace a purse or wallet-bag if you have a lot of loose trinkets to keep tidy. But the stylish presentation, excellent materials, and thoughtful design elsewhere make up for this one sore spot. Go out and get one if you can justify the high price—and get the bigger one if you’re wondering whether you might need more space for your laptop or bulkier gear.